Did snowboarding begin in a Muskegon garage? 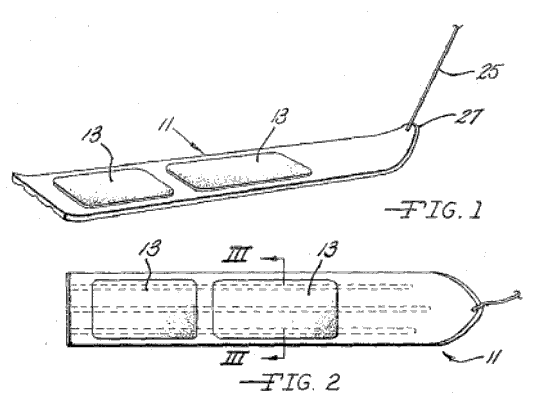 Sherman Poppen, the inventor of the "snurfboard." 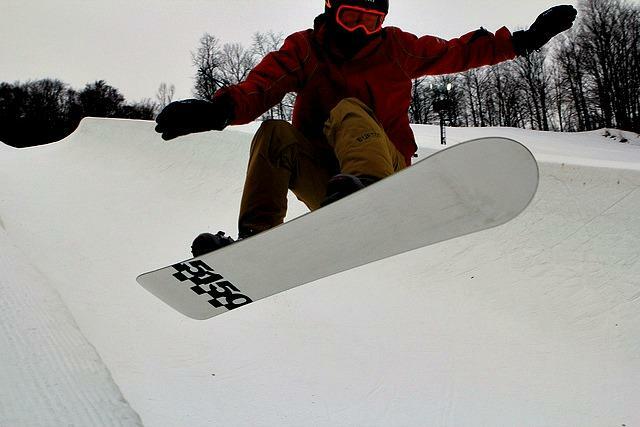 A snowboarder on Boyne Mountain in Northwest Michigan. 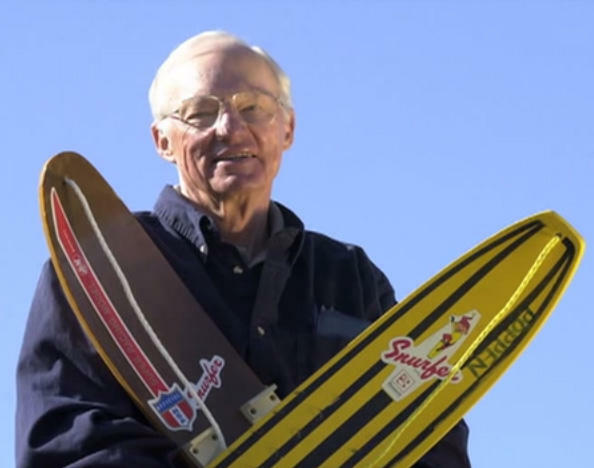 Stateside's conversation with Sherman Poppen, creator of the "snurfboard." The opening ceremony for the Winter Olympics happens Friday in PyeongChang. Right out of the gate, the snowboarding competition begins on Saturday. There's sort of a debate about who actually originated snowboarding – was it a man named Robert Trumbull, a newspaper editor who was born in Chicago and who worked in Honolulu? It's said in 1938, he combined surfing and skiing while on vacation in Yosemite National Park. Or, was it the West Michigan dad who came up with a way to get his little girls outside on Christmas Day 1965? That dad is Sherman Poppen. Stateside spoke with Poppen back in January 2014. Listen to the full conversation above, or read highlights below. "I took these two small skis and put them side by side and put a brace across them to hold them together, and something to put your foot against," Poppen said. Poppen was the dad who got creative in his Muskegon garage some 48 years ago. "We literally started sliding down a hill standing up." His wife named the new toy "snurfer" by combining the words "snow" and "surf." Fourteen years later, Jake Burton Carpenter came to a contest in Michigan and saw the snurfers. He then went back to Vermont to make his own "snurfboards." "I wrote him saying the word 'snurf' and any derivative thereof belongs to Sherman Poppen and if you want to keep making these things you're going to have to pay him a royalty," Poppen said. "That was probably one of the dumbest things I ever did, because he stopped making 'snurfboards' and started making 'snowboards.'" *Stateside originally aired this story on Feb. 4, 2014. Did you know that 'Gumby' has Michigan roots? 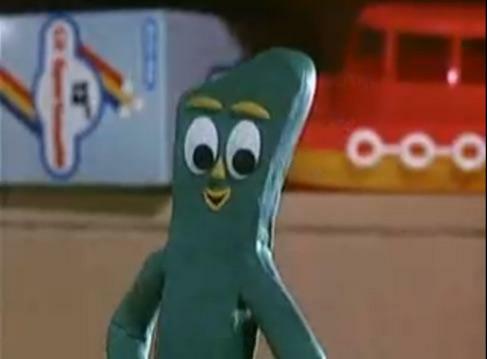 The beloved Gumby was created by animator Art Clokey. His son Joe Clokey joined us on Stateside today to describe how Michigan inspired his dad to come up with Gumby.